Showcasing music by the recording artist "Alien"
Click the CD cover below for more details, ordering information, & to hear audio samples. Self-titled 4 song EP. "Self Control" is Hard Rock with mystical intro & bridge sections. The other three songs are darker & heavier with Gothic & Metal influences. 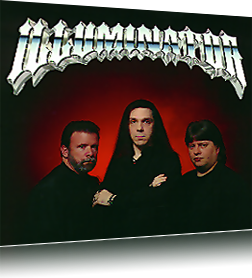 Visit the ILLUMINATOR page & view any Flash audio sample to get a coupon for $2 off purchase!